Washington, DC – August 18, 2011 – (RealEstateRama) — Existing-home sales declined in July from an upwardly revised June pace but are notably higher than a year ago, according to the National Association of Realtors®. Monthly gains in the Northeast and Midwest were offset by declines in the West and South. According to Freddie Mac, the national average commitment rate for a 30-year, conventional, fixed-rate mortgage was 4.55 percent in July, up from 4.51 percent in June; the rate was 4.56 percent in July 2010. Last week, Freddie Mac reported the 30-year fixed rate dropped to 4.32 percent. Contract failures – cancellations caused largely by declined mortgage applications or failures in loan underwriting from appraised values coming in below the negotiated price – were unchanged in July, reported by 16 percent of NAR members. In addition, 9 percent of Realtors® report a contract was delayed in the past three months due to low appraisals, and another 13 percent said a contract was renegotiated to a lower sales price because an appraisal was below the initially agreed price. NAR President Ron Phipps, broker-president of Phipps Realty in Warwick, R.I., said an unacceptably high number of potential home buyers are unable to complete transactions. “For both mortgage credit and home appraisals, there’s been a parallel pendulum swing from very loose standards which led to the housing boom, to unnecessarily restrictive practices as an overreaction to the housing correction,” he said. “Beyond the tight credit problems, all appraisals must be done by valuators with local expertise and using reasonable comparisons – it doesn’t make sense to consistently see so many valuations coming in below negotiated prices, often below replacement construction costs,” Phipps said. The national median existing-home price2 for all housing types was $174,000 in July, down 4.4 percent from July 2010. Distressed homes3 – foreclosures and short sales typically sold at deep discounts – accounted for 29 percent of sales in July, compared with 30 percent in June and 32 percent in July 2010. Total housing inventory at the end of July fell 1.7 percent to 3.65 million existing homes available for sale, which represents a 9.4-month supply4 at the current sales pace, up from a 9.2-month supply in June. All-cash sales accounted for 29 percent of transactions in July, unchanged from June; they were 30 percent in June 2010; investors account for the bulk of cash purchases. First-time buyers purchased 32 percent of homes in July, up from 31 percent in June; they were 38 percent in July 2010. Investors accounted for 18 percent of purchase activity in July compared with 19 percent in June and 19 percent in July 2010. 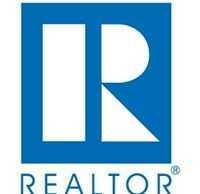 The balance of sales was to repeat buyers, which were a 50 percent market share in July, unchanged from June. Single-family home sales declined 4.0 percent to a seasonally adjusted annual rate of 4.12 million in July from 4.29 million in June, but are 21.5 percent above the 3.39 million level in July 2010. The median existing single-family home price was $174,800 in July, down 4.5 percent from a year ago. Existing condominium and co-op sales were unchanged at a seasonally adjusted annual rate of 550,000 in July, and are 17.3 percent above the 469,000-unit pace one year ago. The median existing condo price5 was $168,400 in July, down 4.0 percent from July 2010. Regionally, existing-home sales in the Northeast rose 2.7 percent to an annual level of 750,000 in July and are 19.0 percent above July 2010. The median price in the Northeast was $245,600, down 6.8 percent from a year ago. Existing-home sales in the Midwest increased 1.0 percent in July to a pace of 1.05 million and are 31.3 percent above a year ago. The median price in the Midwest was $146,300, down 2.9 percent from July 2010. In the South, existing-home sales declined 1.6 percent to an annual level of 1.84 million in July but are 19.5 percent above July 2010. The median price in the South was $152,600, which is 2.2 percent below a year ago. Existing-home sales in the West fell 12.6 percent to an annual pace of 1.04 million in July but are 16.9 percent above a year ago. The median price in the West was $208,300 down 7.1 percent from July 2010. 1Existing-home sales, which include single-family, townhomes, condominiums and co-ops, are based on transaction closings. This differs from the U.S. Census Bureau’s series on new single-family home sales, which are based on contracts or the acceptance of a deposit. Because of these differences, it is not uncommon for each series to move in different directions in the same month. In addition, existing-home sales, which generally account for 85 to 90 percent of total home sales, are based on a much larger sample – more than 40 percent of multiple listing service data each month – and typically are not subject to large prior-month revisions. Update on Benchmark Revisions: All major statistical data series go through periodic reviews and revisions to ensure that sampling and methodology keep up with changes in the market, such as population changes in sampled areas, to ensure accuracy. NAR began its normal process for benchmarking sales at the beginning of this year in consultation with government agencies, outside housing economists and academic experts; there will be no change to median prices. Although there will be a downward revision to sales volumes, there will be no notable change to previous characterizations of the market in terms of sales trends, monthly percentage changes, etc. In the past NAR has benchmarked to the decennial Census, most recently to the 2000 Census, because it included home sales data. However, the data are no longer included in the Census, so we’ve had to develop a new approach with an independent source to improve methodology and to permit more frequent revisions. Preliminary data based on the new benchmark is expected to be available for review by professional economists in coming weeks. This process is expected to take some time before finalized revisions can be published to address any issues that may surface in the review process and to update monthly seasonal adjustment factors; NAR is committed to providing accurate, reliable data. Publication of the revisions is not likely before this fall, but we expect to provide a notice one month in advance of the publication date. 2The only valid comparisons for median prices are with the same period a year earlier due to the seasonality in buying patterns. Month-to-month comparisons do not compensate for seasonal changes, especially for the timing of family buying patterns. Changes in the composition of sales can distort median price data. Year-ago median and mean prices sometimes are revised in an automated process if more data is received than was originally reported. 3Distressed sales, first-time buyers, investors, contract cancellations and all-cash transactions are from a monthly survey for the Realtors® Confidence Index, posted at Realtor.org. 5Because there is a concentration of condos in high-cost metro areas, the national median condo price often is higher than the median single-family price. In a given market area, condos typically cost less than single-family homes. The Pending Home Sales Index for July will be released August 29, and existing-home sales for August is scheduled for September 21; release times are 10:00 a.m. EDT.